Widely used as heat controller on electric stoves, water heaters, light dimmer on lamps, speed controller on small motors, or temperature controller on electric soldering iron, etc. 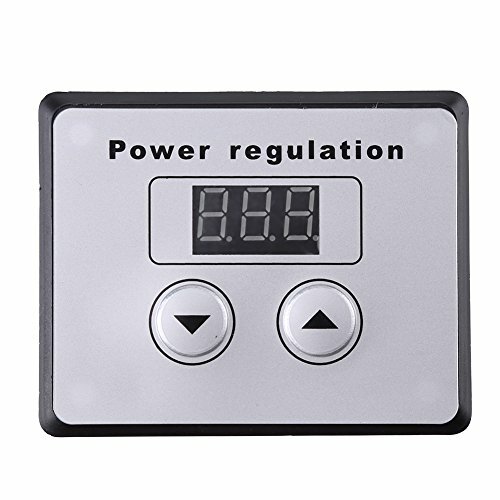 1, AC input, AC output, output voltage is lower than(or equal to) input voltage; voltage can be adjusted only when connected to load; mainly used for resistive load. 2, It can not replace electric bicycles' battery charger, nor drive electric appliances which use switch power supply (such as 110V TV, speaker, refrigerator, air conditioner, rice cooker with a computer), and cannot drive induction cooker, energy saving lamp.